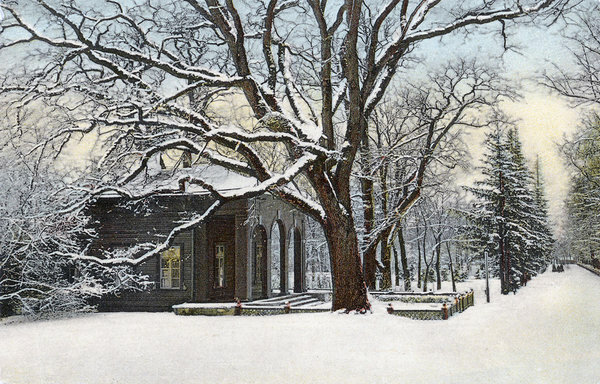 The new guardhouse is present on all maps of Kadriorg Park since 1829. It is the only purely Classicist building in the Kadriorg Palace complex. Since 2006, the building has housed the Kadriorg Park museum and library with a permanent exhibition detailing the history of the park. The archive preserves the old plans of the park, photos, newspapers, memorabilia, etc. The library focuses on landscape, park and garden architecture, botany and horticulture. 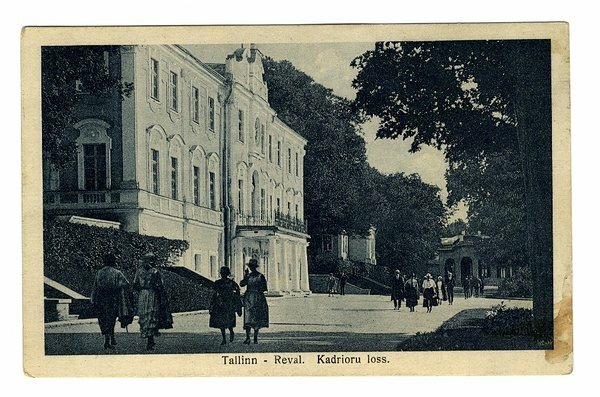 Visit the building’s first floor for the exhibition Kadriorg Park 1918 – 1940 to gain an overview of the Park’s development during the early years of the Republic of Estonia. The Park Museum collects different materials related to the Park: blueprints, photographs, newspapers, magazines, posters, memorabilia etc. Some of the material is displayed as part of the permanent exhibition. The museum also hosts a variety of thematic exhibitions such as photography exhibitions, garden projects of the Flower Festival, compositions of natural materials, presentations of the roses cultivated in the Park etc. We will be most grateful if you would like to share with us your memories of Kadriorg Park, in doing so supplementing our collections. The building’s second floor provides for a specialized library and reading hall. Kadriorg Park Library is a specialized library with a focus on landscape architecture, park and garden design, botany and gardening. The Library’s shelves also hold publications on related fields such as nature conservation, environmental protection, forestry, heritage conservation etc. The Library was established as incited by the specialty library left to Kadriorg Park by Tuula-Maria Merivuori (1947 – 2000), a Finnish Professor of Landscape Architecture. The Park’s own library was added to Professor Merivuori’s collection as were gifts from Park employees. The Library has been supplemented from the Repository Library of Estonia’s Exchange Repository as well as by purchases of new books. Besides Kadriorg Park related publications, the Library contains materials on other parks in Estonia and across the world. The Park Library’s electronic catalogue contains more than 3,200 publications. Some of these items constitute the only copy of the particular publication in Estonia. To search for a specific publication go to www.lugeja.ee. Tsar Nicholas I ordered a new guardhouse built for the palace in 1828, while the old one was converted into a guest house. The building (address 26 A. Weizenberg Street) was designed by the architect Christian Meyer. building with a three-part open arcade decorating its palace-facing side. The double door at the back of the arcade served as the main entrance. The terrace at the façade was hemmed by a wooden balustrade. The exterior colours were chosen according to the two-colour principle prevalent in St. Petersburg at the time – slate grey and white. The building consisted of a hall, three rooms, two toilets and an attic. The simple interior design made use of whitewashed ceilings, painted walls and birch furniture.